Following several digital masterpieces including the generous charity compilation "Touched Bass", London based Bass Agenda Recordings returns to vinyl production with a split EP from a couple of UK heavyweight producers: the legendary Carl Finlow (Warp, Trope, Klang, Soma, SCSI-AV, Satamile) and Electronica don Dez Williams (SCSI-AV, Elektronik Religion). Last time we heard a Dagobert track was in 2015, on the still fresh Electro Avenue Records compilation, with the track "Time". Now the German wizard returns in full effect with a complete album, his fourth to date on German prime Electro label Dominance Electricity after "Harzein" in 1997, "Ready To Rock" in 2000 and cult classic "Sonic Sound Of Bass" in 2003. If you have been keeping up with the latest releases hitting the digital shelves, then you may have noticed the highly anticipated and warmly welcomed return of Jackal & Hyde to the scene. Well, if their latest vinyl release "Bad Robot" wasn't enough to make you move, then perhaps this punishing collaboration with Miami Bass overlord Otto von Schirach called "Supermeng 3", will get you poppin' and lockin' 'til you just can't move anymore. Better known as the experimental and noise producer behind the "Geistform" project, Rafael M. Espinosa has also committed brilliant Electro releases under his other disguises on Bunker and New Flesh Records. As Univac, the Spanish producer serves up today the third release of promising Exoplanet Records; a sublabel of 30drop, and we must recon this is a fat one! "Megahits" is a term often used to promote ultra commercial compilations to a large crowd. 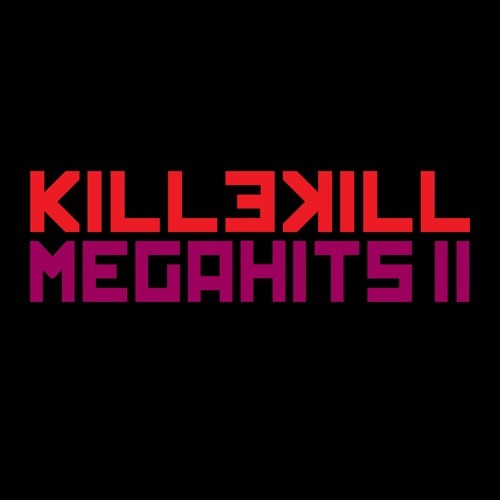 Killekill appropriates the marketing codes of music to feed the masses with underground Techno and Electro tunes. By way in which the Berlin based label takes this opportunity to clear its artistic line, closing one chapter of its history to open a new one. Atlanta based Body Control Records returns with Volume 1 of a copious series of four compilations gathering the very best of Paul Blackford. Considered as a pioneer of the Detroit Techno Bass genre mixed with UK style, Paul has carried on, since his debut on Breakin' Records in 2003, numerous releases on renowned labels including WIDE, DeadLock Records, CPU, WéMè Records or Twilight 76 Records. Some of the planet's greatest contemporary Electronic musicians unite to celebrate the return to music production of Crobot Muzik! After too long of a hiatus, the 1st Croatian Electro label founded by DJ Xed and N-ter in 2007, introduces its fifth release to date; by far the biggest, most astonishing ultimate compilation. British net Electro label Borg Recordings, founded by Skyborg in 2012, proudly presents the debut release of Austrian DJ and producer Beatprozessor. With the "Terabytes EP", the Vienna artist provides four promising Electro tracks tinted with old school colors and deep influences ranging from the C64 scene, to Electro Funk and Hip-Hop of the 90's. After a few mystery appearances on compilations like "Elektrodos Vol. 1 - The Compilation", as well as a few of the volumes in the "Urban Connections" series, Robertiano Filigrano began to make his debut in the Electro Bass scene with a strong sense of musicianship and an obvious passion for the deeper realms of Electro music. But to think he is a newcomer would be a mistake. Whether as an artist, DJ, or label owner, Robertiano has had his hands in the business for quite some time. Carlos Native keeps on the onslaught of dark, heavy Sci-Fi epics, this time offering us the single "Odyssey". Hot on the heels of his incredible works found on his B.I.O.N.E.T. album, the solo project of half member of the iconic Tainted Cell duo Carlos Native just keeps on getting more and more intriguing. Brand new T.R.U. (Texas Recordings Underground) run by Dallas DJ and producer Gavin Guthrie aka TxConnect, proudly presents its inaugural release and we must admit that for a debut, the first installment is a master stroke! With the aim to promote local artists ranging from House to Techno, passing through the Electro scene, the promising label introduces here "Cyber_Tex", a five tracker of high caliber from a plethora of pure talents.